The Warwickshire U13 boys finished their county tournament victorious with many outstanding wins against the likes of Staffordshire, Leicestershire, Derbyshire and many more. The county blue team - Luke Douglas, Ed Pollock, Harry Stone, Ben Holding, Oli Brown, Oli Williams, Caspar Lea, Taz Williams, Noah Lea, Oli Horsler. On an extremely warm Sunday morning, the boys made the long journey to Stourport to start their campaign, their first match against Shropshire. Both teams made a great start winning both their matches 4-0 and 5-0 respectively. As the morning wore on and they played their pool games and came away with high scoring wins which gave them confidence, with Will Tarrant and Harry Stone competing against each other to see who could score the most goals throughout the day. 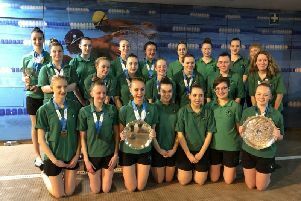 Both Warwickshire A and Warwickshire 1 topped their group stages which put them into the same finals pool alongside Derbyshire and Staffordshire. They knew this was going to be a tough challenge. After their lunch break, an extremely excited Warwickshire squad had to play each other in their first finals match, a closely contested match saw the game finish 3-2 to Warwickshire 1 with brilliantly worked play throughout the midfield from Noah, Caspar and Ben Holding. On to play the last two counties, Warwickshire A took on Derbyshire and came out victorious with an emphatic 4-0 win whilst Warwickshire 1 played a tight fought match against Staffordshire where Harry Stone scored a delightful goal in the top corner to come out 1-0 winners. The final game came about after a long long day in the sun at Stourport, the boys were tired, yet their determination and winning attitude never dropped. They went into their final match as if they had only just started the day, Warwickshire 1 finishing with a brilliant win against Derbyshire and Warwickshire A storming to victory against Staffordshire. The day was a great success and led to the Warwickshire 1 team not losing a match all day and the Warwickshire A team only losing one game to their own teammates in a close fought match which meant Warwickshire as a squad came away with first place. The hockey that was played by both teams was beautiful to see and it was like they had been playing together for years, not just ten weeks worth of training, each and every boy should be proud of the performance they put in on the pitch.